She was born January 29, 1920 in Colquitt County, Georgia, to the late Neunan Caswell Branan and Maxie Graham Branan. She graduated high school in Albany, GA, where she met her future husband. She was married to the late Roy Whitehead of Centertown, KY, where they lived for many years. She worked as a secretary at Albany Hardware in Albany, GA, and later at Centertown Elementary School. She was a homemaker and talented quilter. She was a member of Sand Spring Baptist Church in Lawrenceburg and a former member of Centertown Baptist Church. 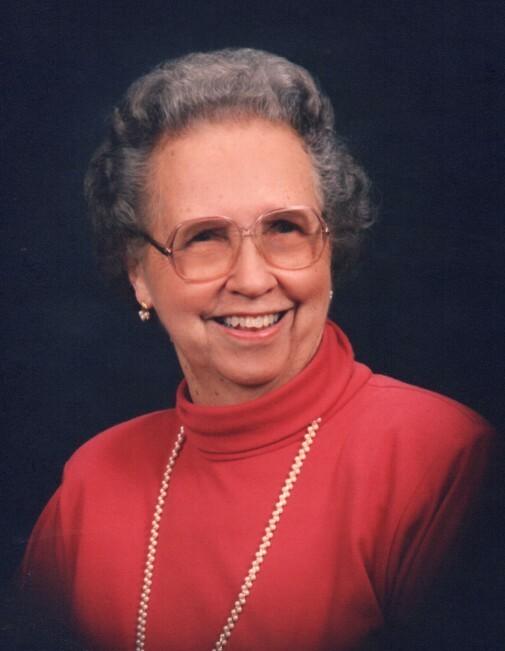 She served as a Sunday School teacher for over forty years. Including her parents and husband, she is preceded in death by her daughter Mary Alice Whitehead, son-in-law Fred A. Craig, an infant daughter and sister Kate Branan Robinson. She is survived by her son Dr. Roy Don Whitehead and his wife Sharon of Somerset, KY; two brothers, Carson Branan and his wife Betty of Tybee Island, GA, and Tony Branan and his wife Betty Jean of Hiawassee, GA; four grandchildren, Branan Michael Whitehead and his wife Emily Intravia of New York, Aaron Thomas Whitehead of Cincinnati, OH, Dr. Adam Whitehead Craig of Lexington, KY and Leah Whitehead Craig and her husband Dr. Timothy Thornberry, Jr. of Bowling Green, KY.